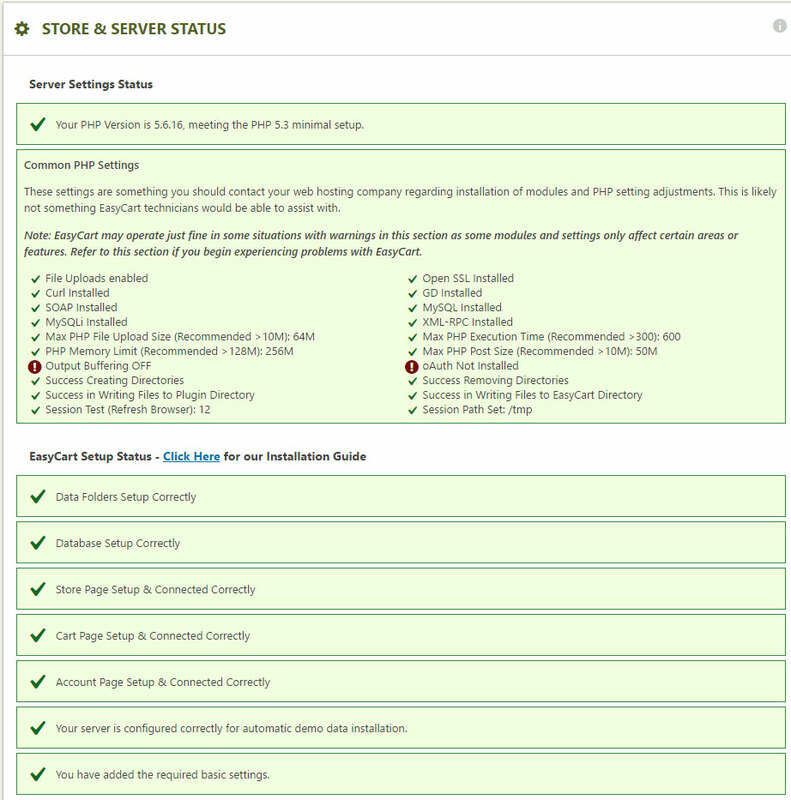 The store status system is used to check as many aspects of your server and server configuration as possible to detect common problems and their sources. Most EasyCart issues arise from misconfigured PHP or server setups. eCommerce takes a lot more configuration settings than a standard website, therefore, this section is a good start to check compatibility and help diagnose common problems. The store status page will check your PHP configuration, EasyCart setup, shipping, taxes, payment setup. EasyCart also provides an easy way to reset permalinks as linking often becomes disconnected during plugin, theme, or wordpress updates. Running the reset and rebuild permalinks is helpful in many situations.